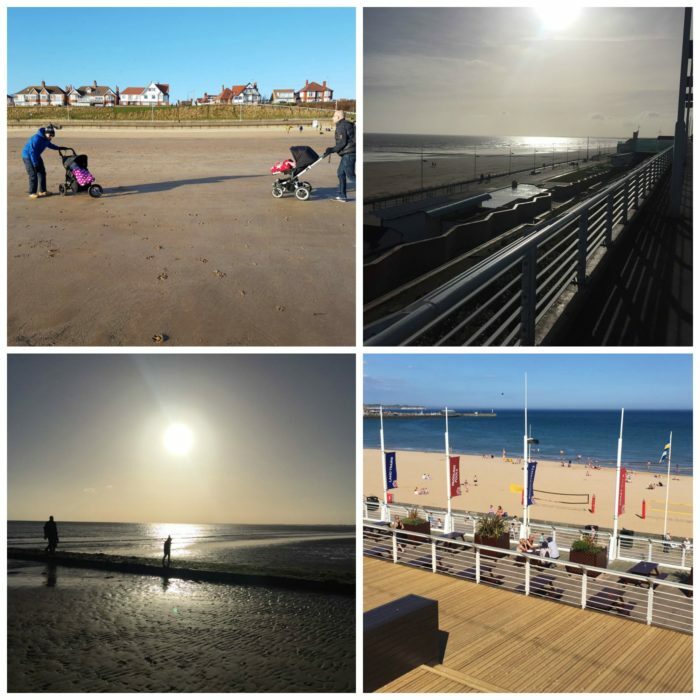 Bridlington South Beach – when the tide is fully out this beach spans for miles with a bustling harbour seaside town at one end… there’s something for everyone here. Traditional sandcastle-building, funfair and seafront type activities of course, but at the other end of the beach you can feel like you’re the only ones there as the coastline stretches south to Fraisthorpe and Hornsea beyond. You can visit the brand new RNLI Lifeboat House too. They even host the UK Beach Volleyball Championships here every year! Possibly best to use the Park & Ride car park just as you approach Bridlington (with its land train to the harbour and town centre) to visit the beach and all the promenade has to offer. Fraisthorpe – a more rustic, unspoilt landscape awaits you here, where you can be at one with nature as you explore the sand dunes. A gorgeous modern cafe called The Cow Shed was an addition in Spring 2017 so you can warm up with a well-earned cuppa after a walk, here’s a bit more about it and how to find this hidden gem. Hornsea – our nearest Beach (and close to Whiteheads Fish & Chip takeaway/restaurant) is actually one of the best places in the UK for fossil hunting.